As trained health care professionals, pharmacy technicians work in both hospital and retail pharmacies to prepare and dispense medications under the supervision of a pharmacist. 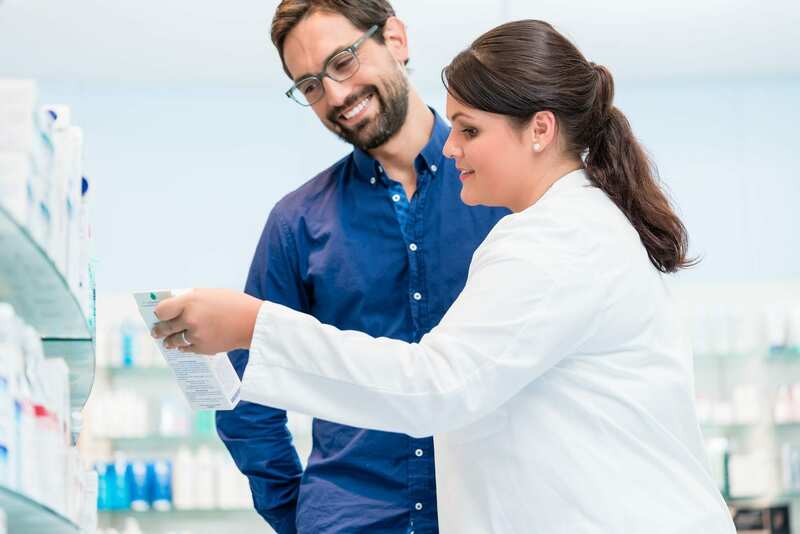 While the technician might conduct much of the everyday tasks in the pharmacy, the pharmacist holds the legal responsibility through state licensure for the care and safety of patients. 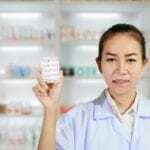 Pharmacy technicians compound medications, call doctors’ offices, prepare prescribed medication, prepare expense and medication orders, and ring up sales. Pharmacy technicians in Florida must register with the Board of Pharmacy by submitting proof of completing a pharmacy technician training program that is approved by the Board. The training also prepares students to take the National Pharmacy Technician Certification Exam (PTCE) administered by the Pharmacy Technician Certification Board (PTCB) to become Certified Pharmacy Technicians. Community pharmacies require pharmacy technician employees to obtain certification within 6 to 18 months of employment. Other pharmacy employers may require certification as a condition to employment. The Division of Continuing Education at the University of West Florida offers comprehensive training for adults start a new career as a pharmacy technician. Working adults can pursue the new career through the program that is tailored to meet the busy schedules of those who must balance family, work, and educational commitments. Students are prepared for success on the National Pharmacy Technician Board Exam. The curriculum blends classroom lectures, audio-visual presentations, and practical experiences. Classes meet two weeknights a week and Saturday mornings for 14 weeks. It includes 84 clock hours in the classroom and 160 clock hours in a pharmacy setting. The pharmacy technician externship provides the opportunity for students to apply the principles learned in the classroom and provides the experience needed for future employment. The experienced and licensed pharmacist and pharmacy technician instructors will cover topics such as pharmacy terminology, drugs and their effects, aseptic techniques, sterile and non-sterile compounding and much more. Applicants must have a high school diploma or GED, no felony or misdemeanor related to the sale of drugs, and up-to-date vaccinations. Enrollment in the program is limited due to the need to maintain a low teacher-to-student ratio. Tuition for the program is $3,900. Pensacola State College prepares pharmacy technician students for employment in community and institutional pharmacy settings. They assist a licensed pharmacist with the dispensing of medications and the care and safety of all the patients that the pharmacy serves. The program covers 40 credit hours in four semesters and provides students with the theoretical, practical and clinical skills needed to work in a pharmacy. Course content includes but is not limited to pharmacy tech math, essentials of anatomy and physiology, English Composition, introduction to pharmacy, therapeutic agents, basic business skills for pharmacy technicians, medical terminology, computer concepts, applied pharmacy practice, pharmacy seminar, and pharmacy practicum. At the conclusion of the program, students will be able to demonstrate legal and ethic responsibilities, prepare intravenous admixtures, prepare and deliver medications, communicate and use interpersonal skills effectively, practice human relations, apply basic math and science skills, prepackage unit dose medications, initiate measurement and calculating techniques, and perform clerical duties. The program accepts new students in the month of January only. Enrollment in the program is limited and is based on the availability of space, equipment, and qualified faculty. Minimum requirements for eligibility include a high school diploma or GED, submission of a satisfactory physical exam and immunization for, a federal background check and drug screen. Tuition for the program is $4,183.20 for Florida residents. The pharmacy technician program at Virginia College prepares adults to pursue a career where they will support licensed pharmacists by performing tasks such as preparing prescriptions and dispensing operations. At the conclusion of the program, students will be able to use medical terminology, utilize distribution systems, compound medications and distinguish between aseptic and non-sterile compounding, organize medical records, use problem solving and critical thinking to assist the pharmacist, and coordinate a job search. Students will complete 60 credit hours to be eligible for graduation. Course topics include but are not limited to introduction to pharmacy, learning framework, pharmacy terminology, pharmacological calculations, community pharmacy, institutional pharmacy, pharmacy law, sterile compounding, aseptic techniques, medication safety, and pharmacy operations management. A pharmacy externship is a critical aspect of the training and will give students a valuable employment reference. Applicants must have a high school diploma or GED and meet the health and background check requirements for the pharmacy externship. Tuition for the 55-week program is $24,220. The pharmacy technician program at Locklin Tech is a 1050-hour adult program or 7-credit dual enrollment high school program that prepares students for certification as a Pharmacy Technician. The curriculum follows a sequence of courses that emphasizes academic standards as well as the technical knowledge and skills that prepares students for employment as well as further education in health. The content includes but is not limited to pharmaceutical compounding, medical terminology, sterile techniques, delivering medications, patient record systems, prescription drug orders and supplies, printing labels, health and safety, leadership and human relations, IV preparation and maintenance of inventory. In addition to classroom lectures, the laboratory activities and pharmacy practicum will form integral parts of the program. Full time and part time schedules are available. Full-time day classes meet Monday through Friday from 9:00 am to 3:21 pm. The part-time option is available on a part-time morning and evening basis. Class times are 9:00 am to 11:58 pm or 12:38 to 3:21 pm Monday through Friday. Applicants must have a high school diploma or GED and obtain a level 2 background check that includes fingerprinting, drug screening, and background information. Students with felony convictions will not be permitted to intern. Tuition costs $3,319.